After the last note of the floor exercise played and the final pose held, a gymnast sprinted off, into an excited embrace with her coach. Together they almost fell over, twirling with joy as the athlete’s legs and arms wound around the coach’s torso. It looked like an octopus clinging to a pillar. The pillar stood strong. I waited in line for 45 minutes with two whining boys to get into the John Wooden Center at UCLA and experienced this glorious moment. It was worth it for all of us. 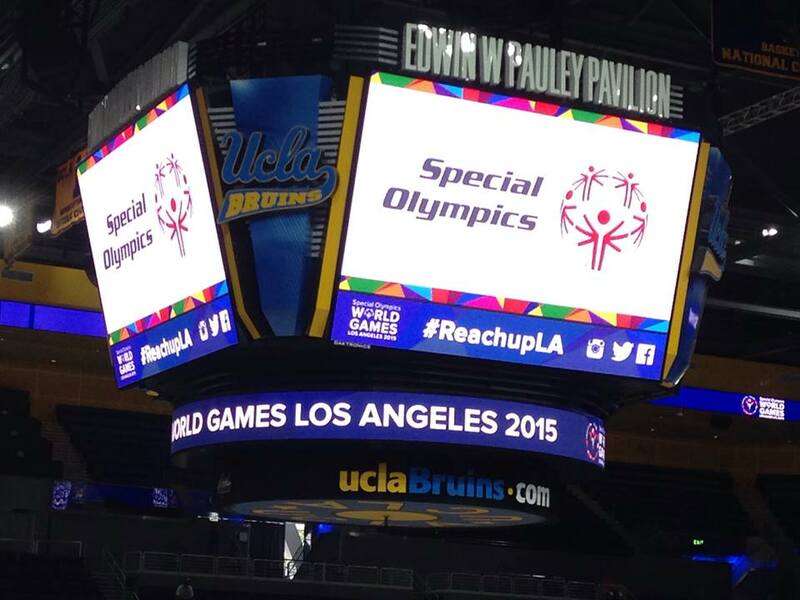 Last week, Los Angeles was graced with a special event: the Special Olympics. And I say graced because it was a gift to L.A. to participate in the celebration of diversity and be inspired by the determination and courage of those around the world with an intellectual disability. My family also attended volleyball games, the first ever “dance challenge” and the closing ceremony; all were tear-jerkingly inspirational. We had witnessed the thrill of victory, not only for a medal, but personal victories to overcome with disabilities that, truth be told, melted into the background. South Pasadena had the privilege of being a “Host Town” to athletes from Morocco and Paraguay. More than 100 communities from San Louis Obispo to San Diego participated by being matched with delegations from different countries. Volunteers welcomed guest before the games through parades and activities, spread the word around town about events to come and cheered during competitions for their matched athletes. The Special Olympics are held every two years, alternating summer and winter games (and should not to be confused with Paralympics, held the week after The Olympics for those with physical disabilities.) Their motto: “Let me win. But if I cannot win, let me be brave in the attempt” was coined by Special Olympics founder, Eunice Kennedy Shriver at the first games in 1968, held in her backyard. Since then, the Special Olympics has promoted awareness and been a champion for equality, inclusion, and acceptance. During the 9 days of the 2015 summer games, there were about 7,000 athletes, 177 countries represented, 30,000 volunteers, 3,000 coaches, and 500,000 spectators (millions more watched on TV). Volunteer healthcare professionals gave free exams and met the health care needs of the athletes. Michael Wang, a physician at USC and my husband, cared for a football coach with malaria and an athlete with a foot infection, requiring surgery. The dancers were magical, whether from Panama or Pakistan. I almost lost my voice in collective shouts of excitement as soloists leapt in a lyrically graceful jeté, couples glided across the stage in beautiful ballroom gowns and crews hit it hard while onlookers bounced to the beat and hooted their approval. One soloist even got there late, due to a bus problem, but was given the opportunity to perform anyway, his hard work rewarded with cheers and tears. “The world comes together to see our athletes in action and celebrate their victories over huge odds. 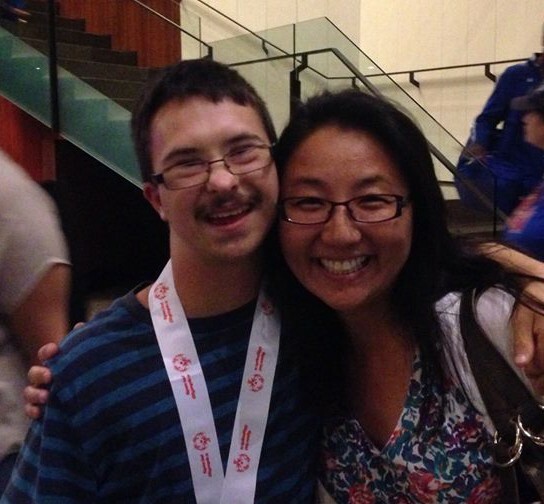 The Special Olympics World Game embraces unity, achievement and dignity,” states the la2015.org website. This last week, my own chest swelled with pride for the courageous athletes and all the supportive people around them, holding them up and giving the rest of us a snap shot of a hopeful future.